I won’t lie. 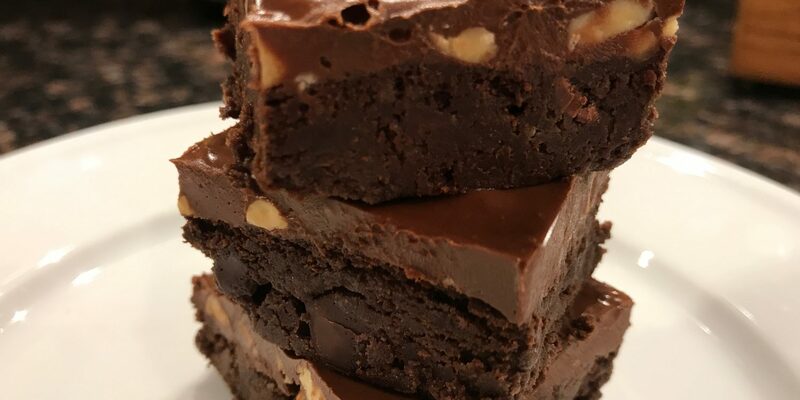 This recipe is built off of my Peanut Butter Fudge Gluten-free Brownie Recipe. Very similar, but a couple small differences. These differences can be large, however, to someone who chooses not to eat grains and peanut butter. In this brownie recipe you must use cassava flour, no option for a gluten-free flour blend here. For the chocolate chunks, you may choose to use homemade Paleo Chocolate Chunks, or like many people on a gluten-free, dairy-free diet, you may opt to use Enjoy Life or Pascha chocolate. If you’d like to control the sugar even more, you can use unsweetened chocolate in the brownie. This will make for a very bittersweet brownie. But for someone who prefers less sweet desserts, that may be a great option. You definitely can customize this recipe to fit your taste. 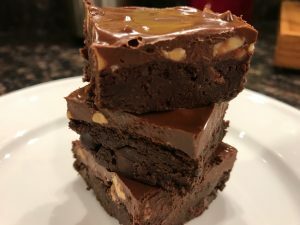 No matter what, I’m sure you will love the fudgy, rich, decadent consistency and flavor of these brownies. They should be sinful, but you should not feel one shred of guilt about enjoying these babies! Bake on and enjoy!! Over low heat melt almond butter and chocolate. Stir until combined.